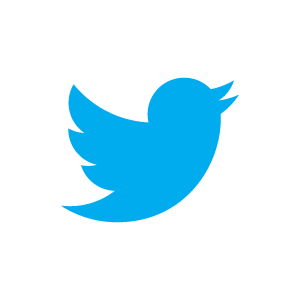 MY TWEET LINK – My Tweets are off-the-cuff mini-blog updates. Sold – Bressert parts #1 & #2 have been sold. This is not the blog update that I intended to write. Things kept occurring to me and that led me to other places, which involved endless rewrites. This particular type of update takes a lot of time but it’s necessary because it forces me to re-evaluate things that I may be blowing off. We all do it; everything’s OK, just keep going straight ahead, no need to look around. And there lies one of the main purposes of this blog . . . examining everything closely. When I heard the beginning of Jeff Saut’s Friday verbal comments (later in this update), I thought he and I were going in different directions. Perhaps we are, but it’s not obvious. After listening to his entire update, he seems unwilling to commit to any direction. That’s kinda where I’m at too. If the FED should do something dramatic this week, I will likely follow the FED. Money or liquidity trumps everything in the stock market and FED liquidity has been the mother’s milk of this bull since March 2009. Naturally any action by the FED must be met by a continuing positive market reaction. But, if the FED does nothing, disappointment will reign large on Wall St.
One big problem for the market is declining interest rates. If we can create rising interest rates, we should get a good stock market rally. As a result of rising rates, money will begin flowing out of bonds and back into stocks (rising rates means falling bond prices). We’ve had many upside interest rate blips but we need a steady rise to be meaningful. Below is a possible wave count in white numbers since 07/25. We could have a temporary peak presently with the end of step 2 up since 7/25 or it could be in step 4 of step 2. If the futures correct on Sunday and/or Monday, it could mark the end of step 2. 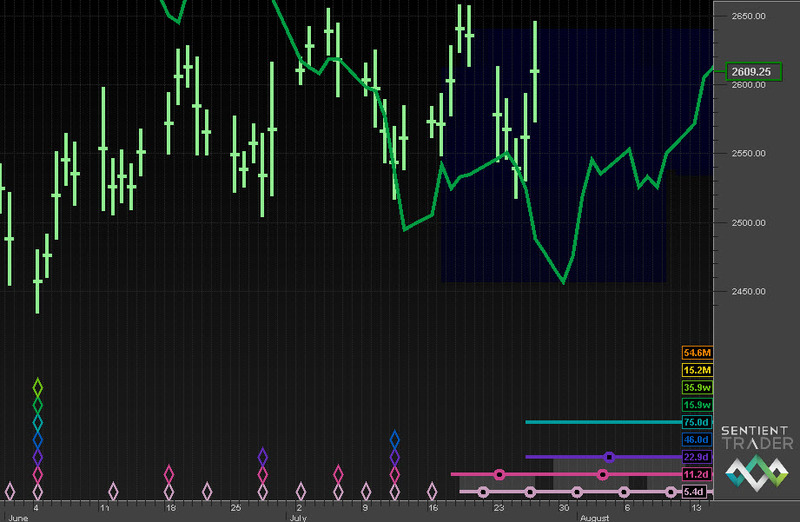 The next chart shows 5th step in cyan since June 4th. There is always the possibility that cyan steps 1 and 2 are one step. The charts following (60 minute StockCharts) show only 4 steps up. The 24 hour futures have usually been more accurate on detailing the wave count. The following shows a rapid rise into step 4 on the large cap charts, 60 minute bars. All in this group are favorable looking charts (except the last two, DJ Transports and Canada blue chips). An alternative viewpoint on this chart would be that step 4 up is an upside failure and we have already seen step 1 down. 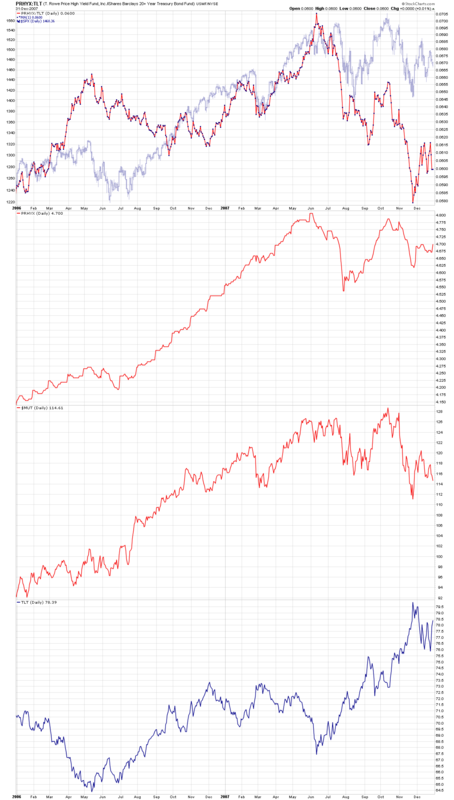 The following charts, consisting of smaller cap indexes, have the same time span as above. They don’t look so great. The NASDAQ (COMPQ) shows a count that has a corrective outcome. The RUT shows the same wave count only deeper. First chart is the up down volume cumulative line. This index peaked in February 2011 and made a secondary high in late March 2012. So far it is lower highs since 2/11. We need to break this trend or problems lie ahead. The following is the same up down cumulative volume line except the time frame is 2006 through 2007. As you can see this index peaked multiple times from early June to mid-July 2007. It was well off it’s peak on the October 2007 rally indicating that there was a problem. Compare this chart with one above. The next chart is the junk bond sentiment index. This index peaked in February 2011 and has trended steadily lower since then. A reversal in interest rates (rising rates) would change this picture dramatically, but would we see a new high?? And here is the same chart as above except it’s for 2006 through 2007. This index peaked in early June 2007 and declined steadily after that. The October 2007 price peak was unconfirmed by this index. Compare this chart with the one above. As you can see there are similarities taking place between now and 2007 but things might not be conclusive, just worrisome. 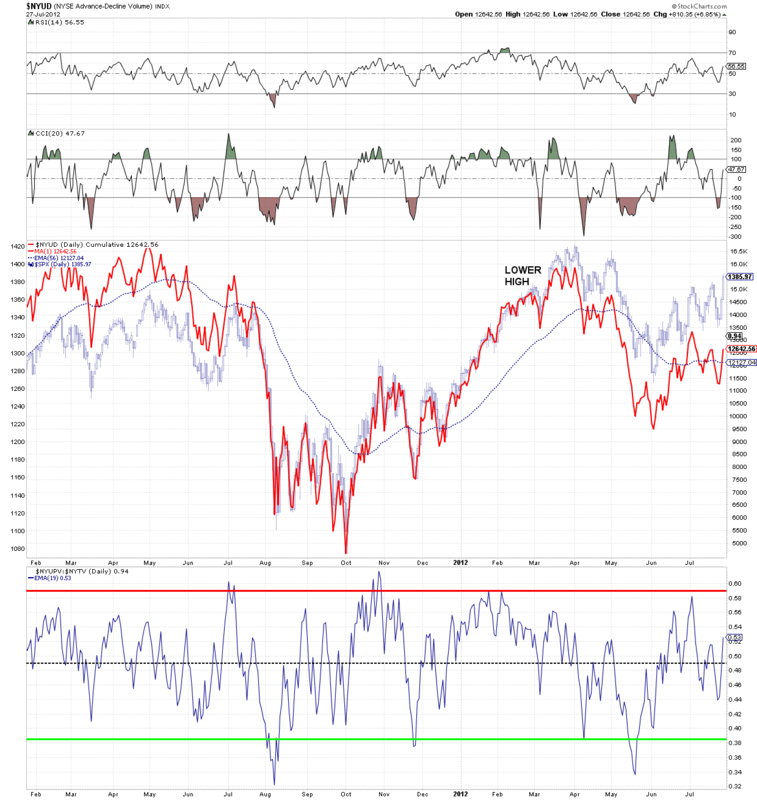 With indicators, they can give topping indications late in a bull market but that can go on for quite some time before it turns into a bear market event. These indicators put you “in the neighborhood” of a bear market event but not real close. Is the show over??? Maybe, but I don’t know. It’s late in the cycle and I get more jumpy than usual in the later stages. We could go on for some time before we have a peak, but presently, we have some disturbing problems that need resolving. Perhaps the FED can work this out for us. I’ve thought for some time that we were good until 2013 or possibly beyond that date (wishful thinking???). But that’s a guess based on my bear termination date of 2018. All kinds of things can be wrong with that assumption and it could easily be worthless. I’m always looking for the boogeyman under the bed and as usual, I’m never sure if I’ve found him. Is it a shadow, or the real thing??? One significant thing that I don’t want to see take place after this rally is finished is a rapid, deep retracement. Late in a bull market this “can” be the kickoff to a large scale correction. Naturally if we continue upward and clear the previous peaks by a significant amount, there is no problem. But slow and steady rally is preferred to a blow-off. Verticals take place early and late in market moves. If this rally evolves into a slow and steady climb upward, all will be forgiven. Look back at the last peak of significance, July 2007. The October 2007 peak was a price peak for only a few of the indexes. There were non-confirmations in October 2007. Guess what??? We have non-confirmations going on presently. That’s gotta get fixed or somethings gonna go wrong. I’m not saying we that we are entering a bear market but a vertical rise always bothers me when it comes late in the cycle. Presently, I’m not a seller but I’m not a buyer either. I’m kinda on the sidelines wondering what to do next (holding onto all my Bressert part #3). The market will tell me what to do but a large rapid retracement could make me very uneasy. Hopefully, I won’t have to decide whether something bad is taking place. Looking at the above chart, it’s an obvious fact that we have 3 well defined steps up since March 2009. When 3 long term steps are completed, there is always the “possibility” of a bear market. Sometimes we have 5 steps up and maybe that will take place in this bull market. At the moment, it’s unresolved whether the 3rd step (blue 3) is finished. It’s unresolved in that red peak #3 is missing. Or maybe the red count is incorrect and the step from October 2011 to April 2012 is step 1 of blue 3. With that count interpretation we could be ready to embark on step 2 of blue 3 with an extended bull market. We’ll see how this works out. Referring to the chart above, a Fibonacci line terminated the bull market advance during April 2012 and the line below it has held all declines in check. As noted before, Fibonacci lines based on prior peaks can halt a decline or an advance (as shown here). This doesn’t preclude the possibility that we could rally and touch the upper Fibonacci line again. Our eyes are open for all possibilities. Jeffrey Saut of Raymond James is a very savvy guy and one of the few people that I follow. Years ago, I found Jeff among the talking heads on CNBC. He was telling the audience different ideas than what everyone else was regurgitating. Immediately this catches my attention because I’m ALWAYS interested in anyone that has a mind apart from Wall Street. After following him for some time, I realized this guy is smart, insightful and normally right on the mark. I find people like this infrequently. Jeff reminds me of Robert Farrell of Merrill Lynch (1970s and 80s), who achieved a large following (including me) by being right on target. Jeff Saut is an acknowledged student of Bob Farrell. All of the following cycle charts are different views of the same long term chart. The different views stretch further and further out into the future. The data used for this cycle is the SP 500 from 1950 to the present, creating long term cycle averages. The first chart is the close up view and notice there is some difficulty determining the precise location of the longer term cycle shown bottoming in May. The long term cycle bottomed in late May and some shorter cycles bottomed in early June. Hurst’s Principle of Synchronicity states – “Waves in price movement are phased so as to cause simultaneous troughs wherever possible”. Synchronicity means this variation on the cycle bottoms can’t take place in May and June. The software obviously needs more data (future data) before it can reach a decision on the common cycle bottom. 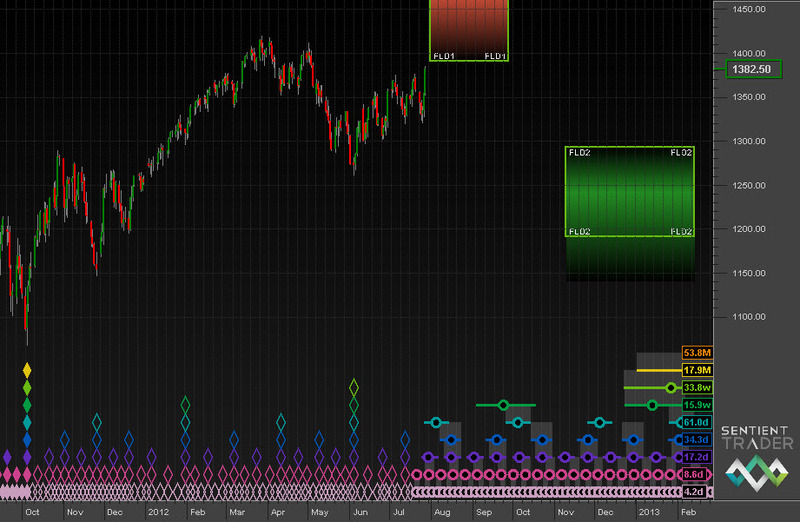 Also note the cycle bottoms slated for early November 2012 and the longer term cycle projected for late November 2012. Isn’t it funny that we are having an election in early November??? The computer doesn’t know we’re having an important election but it thinks something will happen during that time frame. Interesting. The longer term cycle shown bottoming in late November has a long period and the actual cycle bottom could be stretched months out into the future. A January+ bottom could easily take place. Next is the longest term view of the current cycles. Note the interpretation of the cycles on the far left. I normally edit this out to get the maximum size chart. Looking far out you can see an important long term cycle bottom taking place around 2028. That makes me wonder about the validity of my 2018 predicted bottom for the 3rd step down since 2000. One interpretation could be the similarity to 1974 and 1982. The bear market ended in 1974 but the final gasp before the great bull market began was 1982. We could do the same thing in 2018 and 2028, 2018 could be the approximate bear market bottom and 2028 would be the last gasp before the next bull market takes off. If I’m still here in 2028, don’t expect any blog updates because I’ll probably be a slobbering old fool in a wheelchair with diapers. I just received this email from David Hickson of Sentient Trader software and I thought you might like to read some of his comments. There are only eight Hurst Cyclic Principles that define the way in which financial markets are influenced by cycles. Each one of these principles is important in defining the Hurst Cycle approach to analyzing a market, but one of the principles always strikes me as more important than the others, and that is the Principle of Variation. The Principle of Variation states that the cycles that influence financial markets have expected average wavelengths (and amplitude and other characteristics), and that actual instances of those cycles will tend to vary from the average. In simple terms this means that a 40-day cycle in the market will have a wavelength that is not exactly the average wavelength of that cycle. The Principle of Variation is “more important” than the others I believe because it is not a simple black-and-white principle. It is sometimes mistakenly viewed as the “cop-out” principle because it used to mitigate analysis statements. It should not be dismissed because of this, but should instead be focussed upon so that we understand the implications of the principle correctly. Hurst never answered the question: “how much variation is too much?”, but when developing Sentient Trader I had to answer that question because computers do like things to be black-and white (or 0 or 1)! For instance we know that a 40-day cycle has an average wavelength of 34 days (we call it the 40-day cycle because that is easier than saying “the 34-day cycle” – OK, this is a bad example, but 5-day cycle is easier than saying 4.3-day cycle … well, let’s move on). And so we expect the actual wavelength of the cycle to vary from the average length of 34 days. But how much variation is acceptable and how much is too much? Clearly if a cycle is 60 days long it is more likely to be an instance of the longer 80-day cycle (which has an average wavelength of 68 days). Sentient Trader resolves this issue by using a range of 65%-150% of the average wavelength as a suitable variation. When it comes to the 40-day cycle that means that a cycle which has a wavelength of 22 – 51 days is considered valid. That is all very well, but what if you have a cycle that is 51 days long and another cycle that is 52 days long? Is the former a 40-day cycle, and the latter an 80-day cycle? There is only a one day difference between them, and so it is surely absurd to be so “black-and-white” about it! Yes indeed, and Sentient Trader isn’t so “black-and-white” about it, it uses a form of fuzzy logic to resolve these situations, which includes looking at the shorter cycles and how they have formed. Why am I going on about this? Because the markets (which given the opportunity to entertain us with an analytical puzzle will always do so) are currently presenting us with exactly this situation: a 40-day cycle that is 51, 52 or 53 days long (depending on the market). There are several ways of resolving this situation in terms of one’s analysis, and in today’s ST Outlook I will present the various options that I think are most likely. As discussed last week it seems likely that the first 40-day cycle since the 4 June 2012 40-week cycle trough occurred on 12 July 2012. However Wednesday’s trough occurred exactly 51 days after 4 June 2012 and so it is possible that is the correct position for the trough. If we position the 40-day cycle trough on 12 July 2012, as shown in the chart below, then there is a further puzzle to resolve: is the trough on Wednesday 25 July 2012 of 10-day or 20-day magnitude? At 13 days in length either option is possible. The current 40-week cycle should have a lower peak than the previous 40-week cycle (lower than 1420 in the S&P 500), and it should occur in the first 20-week sub-cycle. The reasons for this have been discussed previously. The first 20-week sub-cycle mentioned above is the current 20-week cycle of course, and so where do we expect the peak of this cycle to occur? The underlying trend of this cycle is neutral to slightly bearish and so the peak is expected in the first 80-day sub-cycle (or it could occur early in the second 80-day sub cycle). The underlying trend of the first 80-day cycle (which is playing out now) is bullish, and so we expect the peak of this 80-day cycle in the second 40-day sub-cycle. The second 40-day sub-cycle mentioned above is playing out now (regardless of where we place that 40-day cycle trough), and so we expect the peak within this cycle, in other words by the end of August (the next 40-day cycle trough is expect in late August). 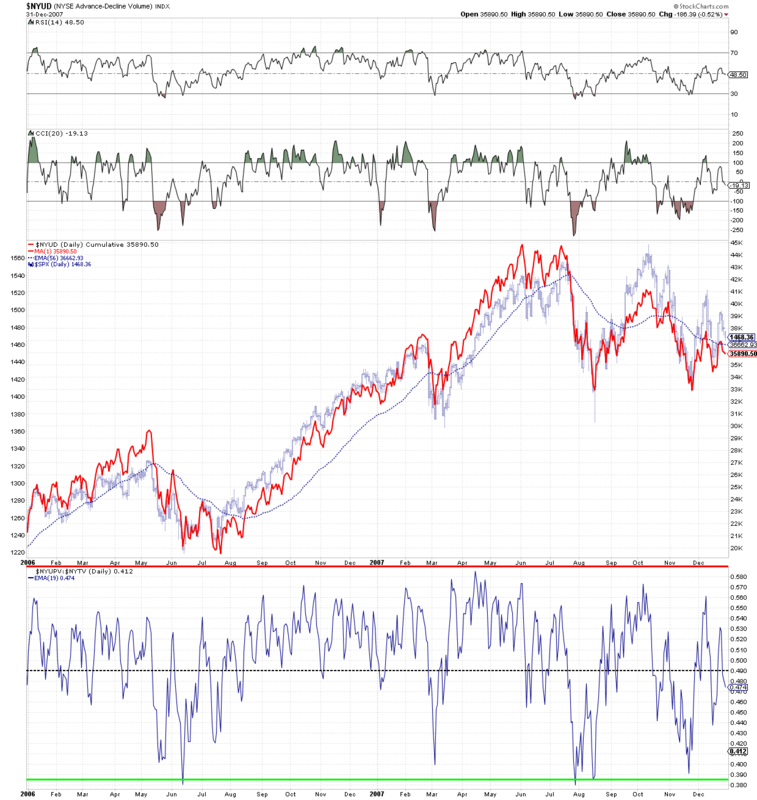 The situation is the same in the Nasdaq, and so let’s take a look at something else of interest: the interplay between price and the 20-week FLD. I mention above that the peak of the current 40-week cycle in US markets is expected in the first 20-week cycle, and we will know that peak has occurred when price crosses below the 20-week FLD. Here is that FLD. Note how price traveled along the FLD in early July, and then bounced off the FLD this week on Wednesday. 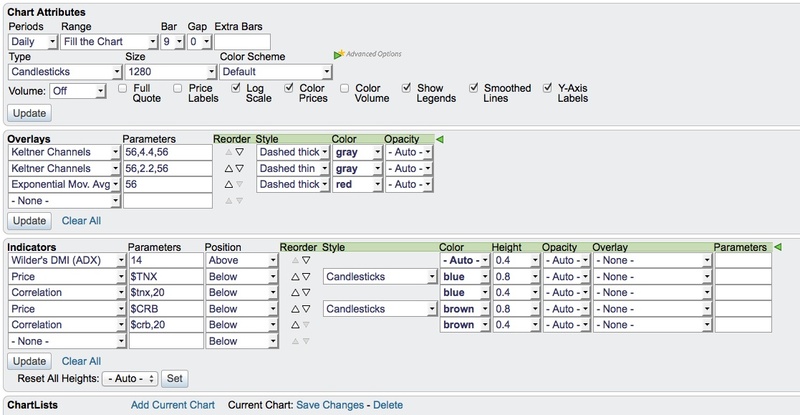 With the software, if you have the data, you can input it into the Sentient Trader software and view the cycles. This entry was posted on July 29, 2012 at 12:35 PM and is filed under CYCLES, IN DEPTH, JEFF SAUT. You can subscribe via RSS 2.0 feed to this post's comments. You can comment below, or link to this permanent URL from your own site. It’s not the lack of comments, it’s the page views that has convinced me to not bother. The message isn’t getting out. On a weirder note, there are more views today with me virtually saying nothing than last Saturday’s in depth update. I have not commented lately. However, I am definitely a follower of your blog! 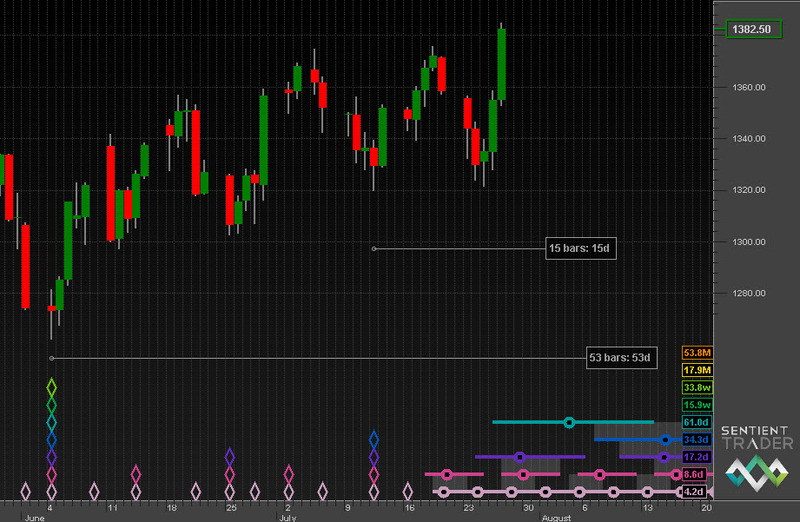 I don’t intend on taking my public StockCharts down, so that will be available for anyone interested. 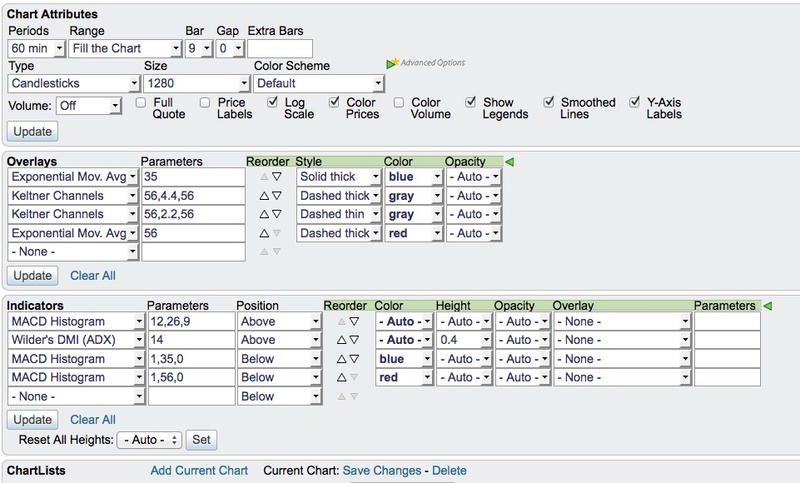 If you have a StockChart “Extra” account, those charts are easy to recreate. I used “Annotate (flash)” to draw the horizontal lines. Everything else is in the above detail. Question: will your Public chart list stay up? I have been using charts 30.1 and 30.2 in my work on the markets. If not, do you think you could show me how to make those charts? Everything is OK here, but lack of readers make’s me think, we bother??? Obviously for the majority of readers, it’s all about “what have you done for me lately”? And I haven’t done enough to stimulate interest. It’s TOO MUCH work for too few people. A lot of hours went in to creating the Saturday update and you would be amazed if I told you how many people have read it. Readership has been falling steadily for some time. I might tweet a major turn point if possible, but nothing else seems likely. The blog will stay up, just no updates. Thanks for reading, you’ve been among the very faithful. And thank you to all of my other core followers that have been faithful and steady readers. Hey Bob what happened no more tweets or blog? ?